Compliance with government regulations is top area for improvement among businesses. The five biggest IT threats for businesses are malware infections, security breaches, compliance violations and regulatory actions, and account phishing and executives spoofs. 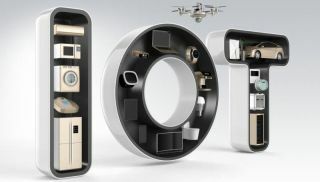 A global survey by MetricStream polling more than 120 enterprises in 20 industries found that nearly half (44 per cent) of large enterprises are saying that the Internet of Things (IoT) technologies, have the most potential when it comes to disrupting IT risk management programs over the next three years. European, US, and Canadian respondents are saying that compliance with government regulations is a top area for improvement in their IT risk management programmes, for the next 18 months. You can find the full report, entitled Moving Up the IT Risk Management Maturity Curve: An In-Depth Look at How Enterprises Are Managing and Mitigating Their IT Risks, on this link.